He just needs a home. Last October, Jiyoon Yi was wandering through a market in Daegu, South Korea, when she saw something that tore into her heart. 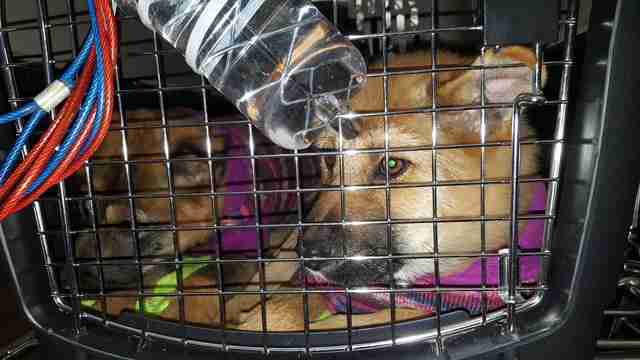 In front of shop, a mother dog and five puppies whimpered in a tiny, rusted metal cage. They look terrified. The shop wasn't selling these dogs as pets, but for something more sinister - dog tonic, a drink that some Koreans believe has medicinal qualities. To make dog tonic, dogs are killed, skinned and cut into pieces. Then the dogs' meat is boiled for hours with herbs until it becomes a black liquid. At this particular shop, the mother dog and the puppies were being kept inside the cage until it was their turn to be made into dog tonic. 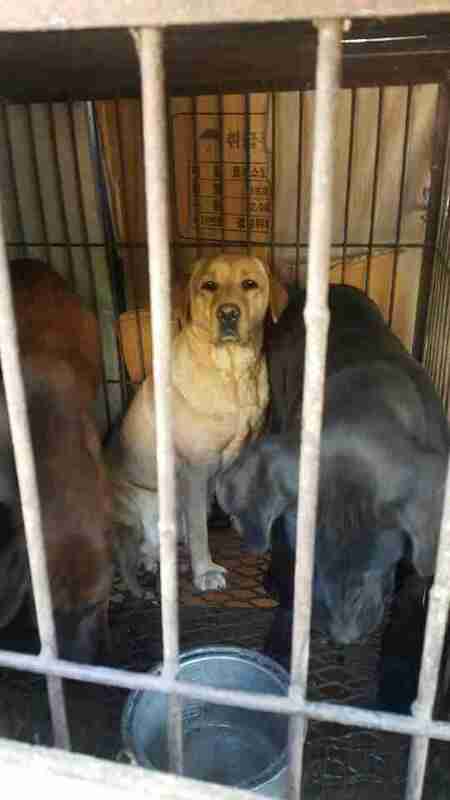 Ek Park, the founder of Free Korean Dogs, an organization that rescues dogs from the meat trade, is certain that the caged dogs would know what was was going to happen to them. "Even though they don't speak English or Korean, they know where they are," Park told The Dodo. "They are sensitive creatures, and they all shiver and get scared. They've probably seen other dogs taken out, and it would probably create a lot of fear and anxiety." Yi returned home, but she couldn't stop thinking about the dogs in the cage. So two days later, she returned to the shop, prepared to pay for the dogs' freedom. 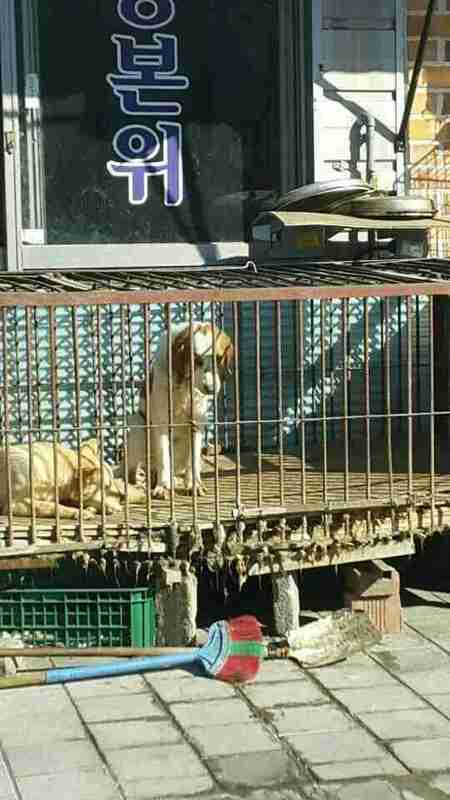 But when Yi approached the cages, the mother dog was gone - she'd probably been killed. The puppies, however, were still there. Unfortunately, buying the puppies wasn't going to stop the shop owner from making dog tonic - once the puppies were gone, the owner would probably just get more dogs to use. Even so, Yi knew she had to save them. So she went inside the shop, paid for them and took the puppies home with her. She named the five puppies Geum, Eun, Dong, Jiho and Jini. Geum, Eun and Dong were siblings, and Jiho and Jini were siblings from another litter. 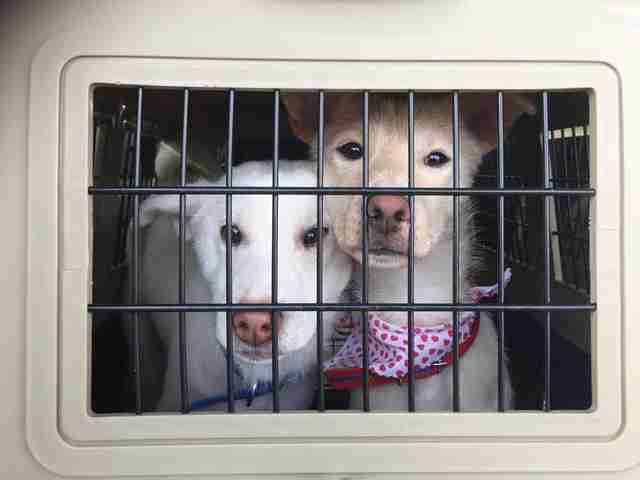 For a couple months, the puppies lived with Yi in South Korea, but Yi needed to find them forever homes so she could rescue more dogs. 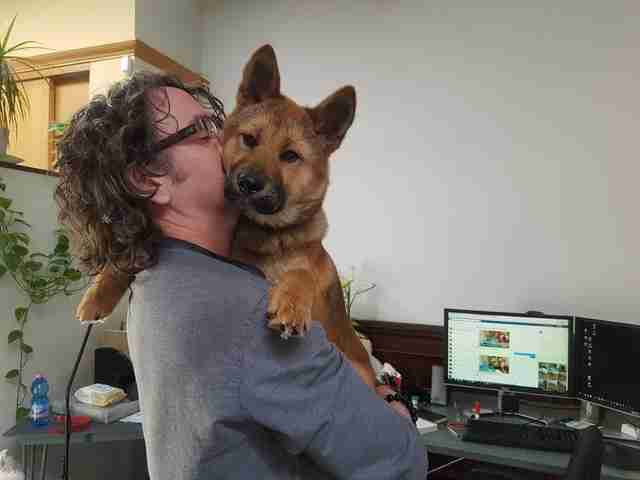 Then, last November, Yi met Park, who was visiting Korea to make a documentary about the dog meat trade. Park had actually just rescued a starving kitten named Nimo, whom she found eating dirt at a local dog meat farm. 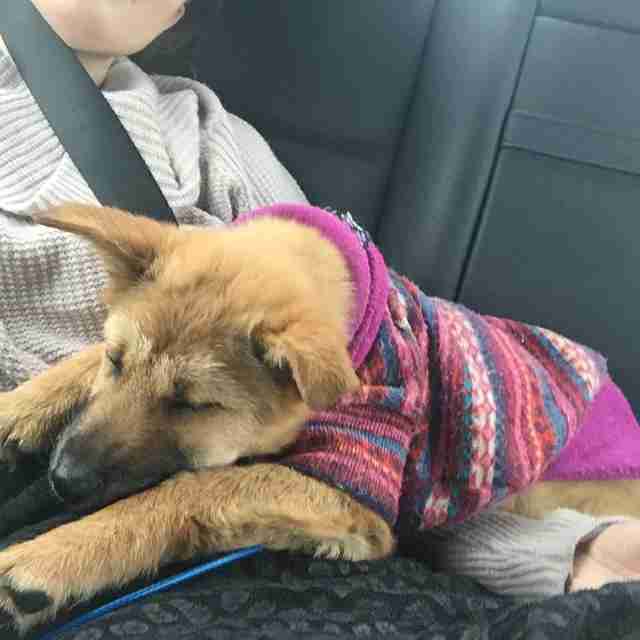 Park needed a temporary foster home for Nimo until she could take the cat back to her home in Canada, and Yi needed forever homes for the puppies. 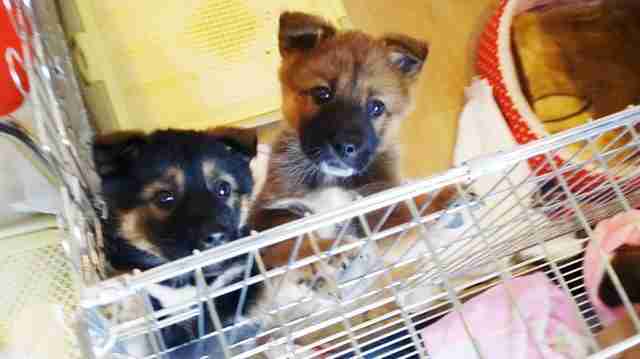 So they struck a deal - Yi would foster Nimo if Park transported the puppies to North America and found them homes. Both women followed through. A little over a month ago, Park flew Geum, Eun and Dong to New York City, where they already had homes lined up for them, and then flew Jiho and Jini to Toronto. Jini was quickly adopted, but Jiho is still looking for the perfect family. In the meantime, he lives with Park. "He's gentle, sweet and snuggly," Park said about Jiho. "He is the best puppy." 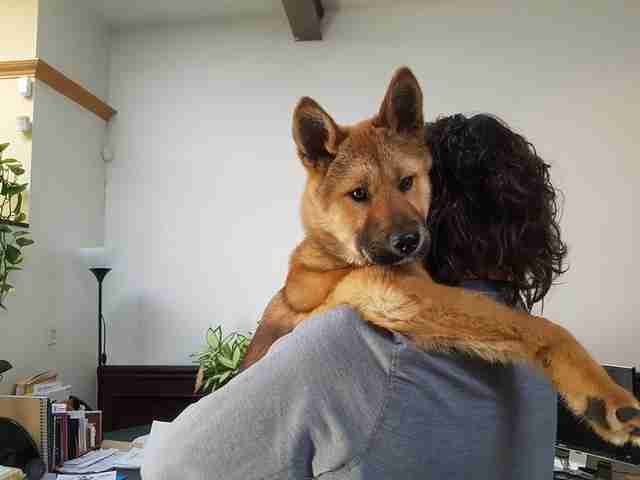 Jiho enjoys going for walks with Park's other dogs, and he absolutely loves hugs and snuggles. "We've been getting lots of requests for him, so hopefully he gets adopted very soon," Park said. 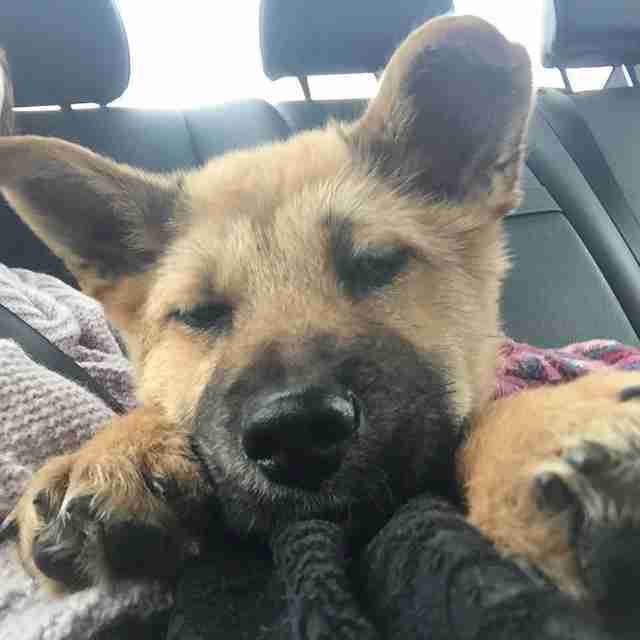 If you're interested in adopting Jiho, or another dog rescued from the dog meat industry in Korea, contact Free Korean Dogs. 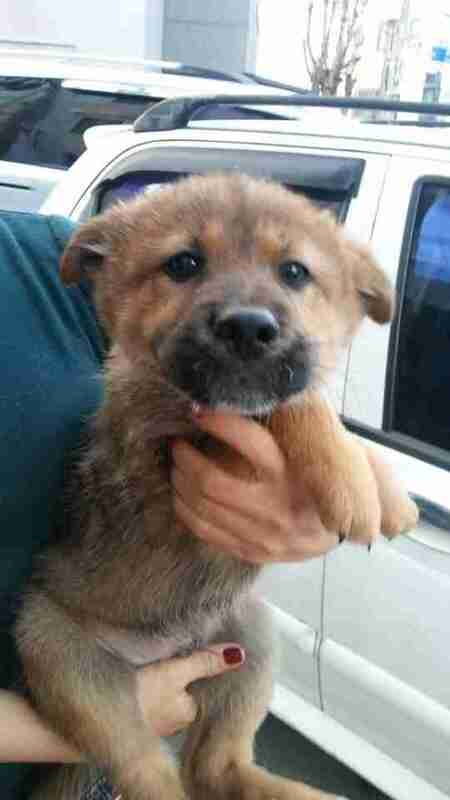 You can also help the organization save more dogs in Korea by making a donation.